As martial arts continue to become more numerous around the globe, proper dissemination of one's own budo art is increasingly more important everyday. If not cultivated correctly, traditional budo arts will become distorted and decline. Therefore Roberto Danubio Sensei's new bilingual Wadoryu Karate manual (German/English) is timely and important. It packs a massive amount of Wado information into one publication. 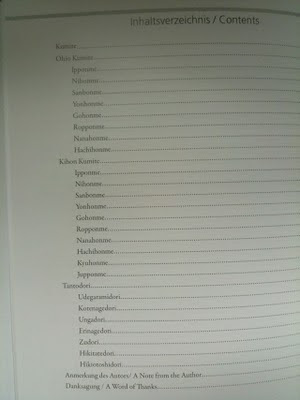 All the kihon, kata, kihon kumite, plus 8 oyo kumite and 7 tanto dori are represented with color pictures and clear explanations, while also including Japanese terms. Inside are 352 pages with 1400 pictures. 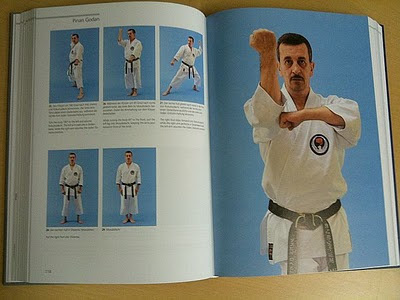 In addition, extra insert information is spread throughout the manual about being a karateka and the philosophy of budo. Danubio Sensei has made a valiant effort to represent Wadoryu properly. Therefore I encourage all Wado practitioners in any Wado association to get your hands on his manual. 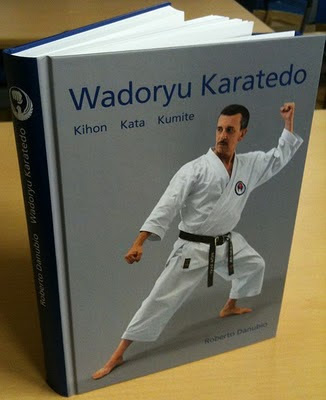 Even Japanese karateka will find it very useful since no complete Wadoryu manual exists in Japan. To order, go to the Wado Ryu Karate Book website.